A former British penal colony now famed for its white sandy beaches and world class diving. This archipelago, floating amidst the Bay of Bengal, is closer to Myanmar than India and is home to a native Negrito population that still has anthropologists baffled. 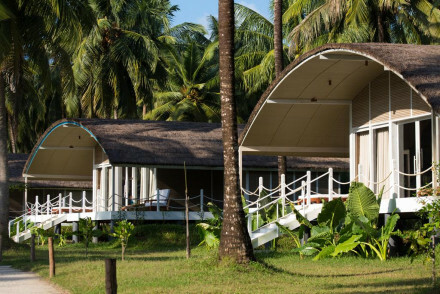 Our pick of the best places to stay in the Andaman Islands are the epitome of laid back luxury and a perfect base from which to enjoy both beach and sea. Havelock, by far the biggest and most populated island, boasts the ‘No 7 Best Beach in Asia’ as well as the most reputable diving schools and luxurious hotels. Spot turtles, Giant Grouper, Mobula Rays and much more on a diving expedition. There are plenty of dive schools but Bare Foot is certainly the most reputable. Visit the former British prison, Cellular Jail National Memorial is an interesting and informative insight into the recent history of the island and its less than idyllic past. Neil and Ross Islands are small enough that they can be explored by bike. Lounge on any one of the pristine white sand beaches. With so much to do and see in this beautiful place many of the best places to stay in the Andaman Islands are snapped up so do plan ahead and book your place early. Barefoot at Havelock provides both eco luxury and excellent diving. Exactly what travellers come here for! The stunning boutique property Jalakara is hidden in lush jungle on the tropical island of Havelock set away from the coast and providing secluded luxury. There are no direct international flights but internal flights run from Mumbai (Bombay), Chennai and Kolkata to Port Blair. There are government ferries and faster private catamarans from Port Blair to the major islands, though timetables are unpredictable and the services are slow. Best time to visit - the climate is tropical and temperatures remain in the 22-32C bracket all year round but the annual monsoon brings heavy rain from mid-May to mid-September. Browse through our list of all the best places to stay in the Andaman Island. A true desert island paradise Barefoot is Robinson Crusoe chic. Boasting a mile long private stretch of one of Asia's best beaches, a resident elephant, Raja, as well as the top rated dive school on the island. Oh and 19 luxurious, eco friendly cottages and Ayurvedic spa. An escape like no other. 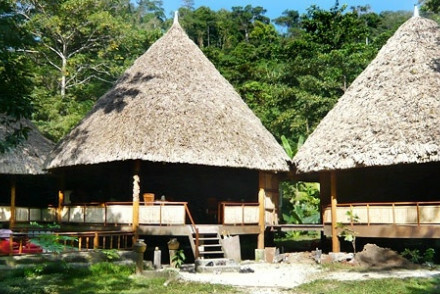 Back to Nature - Located on one of the world's few 'undiscovered' tropical islands. Great walks - Discover the surrounding beauty on a nature trek with your guide. Diving - Providing some world class diving and the best in India. 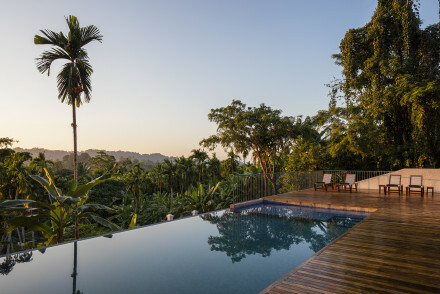 A stunning boutique property hidden in lush jungle on the tropical island of Havelock. Cool contemporary rooms mix traditional Indian architecture with chic modern style. The chef owner has created an exemplary restaurant focusing on seafood. A relaxed (yet luxurious) getaway. Hideaway - A tropical bolt hole complete with fantastic restaurant and spa. Birdwatching - Rise early and take a walk around the property to spot some of the rarest birds in the world. The Taj group present the Andaman's first luxury resort- and it is a winner! The deluxe villas are built on stilts and take their inspiration from the traditional Jawara huts, inside however they are far from rustic. Desert island-chic with incredible food, an unbeatable location and a floating spa.